When we asked some of our customers about their use of MBTI recently, we loved the positive responses and wanted to summarise the comments we received. 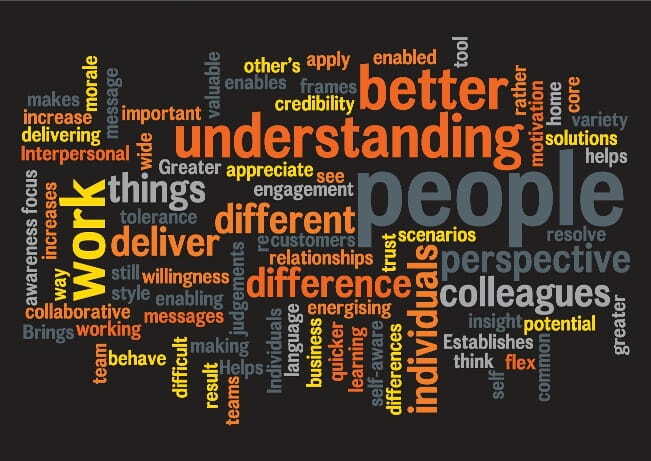 Just as the MBTI instrument distils the complexity of personality into a simple framework for understanding people, word clouds distil large swathes of text into an intuitive visual image, helping you get to the core of a message. We’ve picked out a few of our favourite aspects of the word clouds that we developed from answers to the following questions about the world’s favourite personality assessment. We’d love to hear which your favourites are too. Q1. 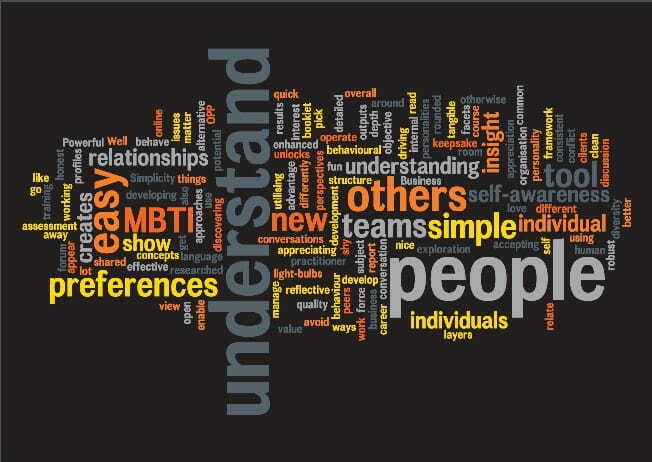 What do you love about the MBTI instrument? We were delighted to see ‘light-bulbs’ – something that reflects what so many people say about the instrument’s instant impact and grasp of issues that have often puzzled them. We love seeing the word ‘conversations’ in here – the MBTI tool is a fantastic catalyst for better interactions, and our conversations are the key to bringing about change. Look out for the word ‘layers’ – do you think this customer meant personality itself, or the MBTI framework? The great strength of the MBTI tool is that it manages simultaneously to be simple (everyone can relate to their four-letter type) and complex (revealing the interplay of Type Dynamics). It has both width (being applicable to a wide range of issues) and depth (through the overlay of Step II’s 20 facets), and so delivers layers like no other instrument. Q2. 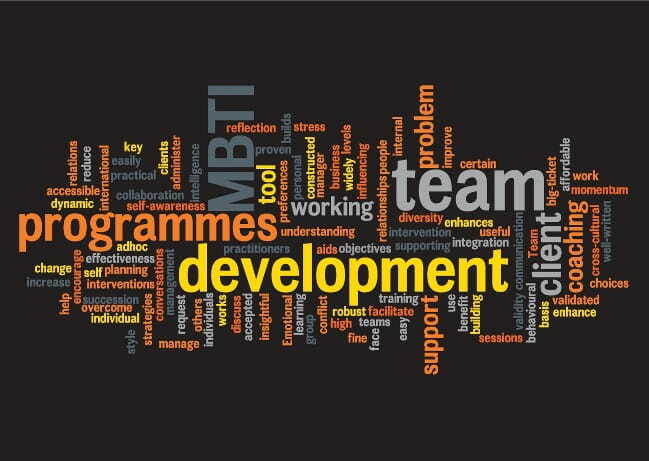 How does the MBTI framework benefit your business? The word ‘un-locker’ rings true for us. It’s about unlocking potential (we’re bound to say that!) so that people can use their true strengths to lead, to be who they want to be, or simply to understand themselves better – surely what we’re all trying to do in our people development work? ‘Cornerstone’ seems to suggest the idea that the MBTI framework is a foundation for personal development – creating a world of possibilities to build out entire L&D strategies with a common language and, so, delivering better outcomes for people. Q3. 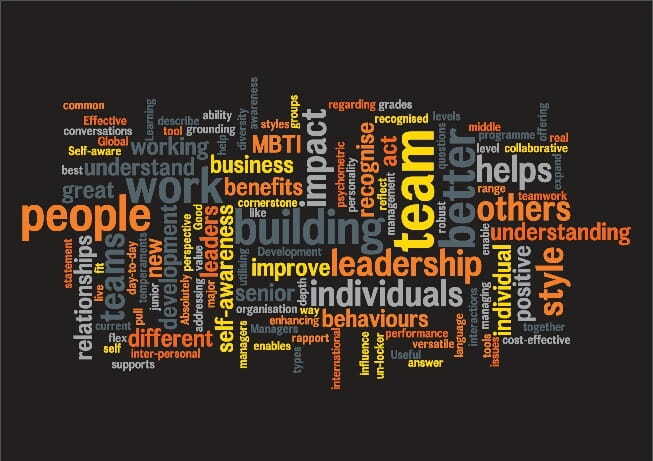 Why do you use the MBTI tool in your organisation? The word ‘team’ clearly stands out here – as we would expect. Using the MBTI instrument to help teams work more effectively together is one of its most common applications, perhaps because there is such an effective pool of team-focused MBTI resources for practitioners to draw upon. Every organisation is budget-conscious these days, so it’s great to see the word ‘affordable’ appearing in the word cloud. This tool is seen as a smart investment that you can constantly return to for new perspectives and insights. Q4. How do you think the MBTI framework makes a difference in your business? True ‘engagement’ can make the difference between a business being average or being great. Because end users find the MBTI tool credible and impactful, using it within your development programmes provokes immediate engagement and inspires longer-term engagement as people take on the insights and start to change their ways of working. Also here, the word ‘energising’ is surely something that every organisation wants from its personal development programmes. Having a tool that leaves people feeling ready to tackle everyday challenges is crucial, and the MBTI instrument ensures that energy is carried back into the workplace.